It may seem like bees are suddenly all the rage in environmental fundraising campaigns today but they have been important to human culture - for almost as long as modern farming, humans have been interested in bees and the products they produce. A new study looks at that shared history. Beeswax is a lipid complex and its 'biological footprint' is fairly degradation resistant so can be identified in the study of the organic residues preserved in archaeological sites. With that in mind, an international research team analyzed ceramic vessels of the Neolithic period in the Near East, Europe and North Africa and found more ancient use than previously known, probably as an integral part in different tools, in rituals, cosmetics, medicine, as a fuel or to make receptacles waterproof. Farming emerged during the Neolithic era in various spots in the Middle East, and on occasions it had unexpected consequences: the opening up of forests to gain land and pastures encouraged the development of landscapes in which bushes and flowers provided environments suited to bees. In some way, the bees were the 'pursuers of agriculture', spreading their habitat as more farmland was being prepared. The work on over 6,400 prehistoric vessels has specified the where and when of the first uses of beeswax. 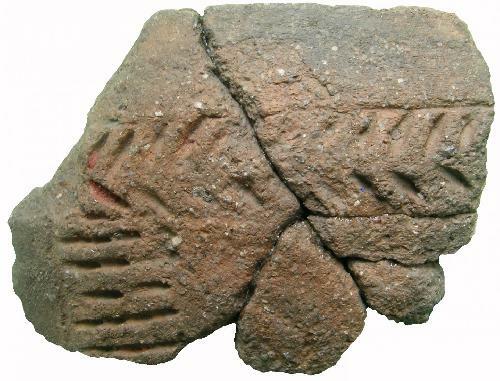 Now we know that the oldest evidence of it is to be found in Neolithic sites in Anatolia (Cayonü) in the seventh millennium B.C., in other words, corresponding to the oldest pottery cultures in the region. It is in this same area that the famous Çatalhöyük settlement is located and from which comes an ancient pictorial depiction of a bees' nest. The use of beeswax has also been detected in prehistoric populations in the north-west of Anatolia; it has been dated between 5,500 and 5,000 years B.C. often mixed with the fat of ruminants. In Europe the first known finds are somewhat later: in Greece around 4900-4500 B.C., in Rumania from 5500-5200 onwards, and in Serbia in 5300-4600 B.C. It was used around the same time in Central Europe in the Neolithic culture of Austria and Germany. More recent are the French and Slovenian cases. On the Iberian Peninsula the 130 receptacles analyzed have not preserved any remains of wax, so it is necessary to conduct further research given than in Levantine art there are various depictions of bees: "You have to bear in mind the fact that the detection of signs of lipids of the wax inside the vessels is very low and that the number of receptacles analyzed in Iberia is still very low," explained Alfonso Alday, lecturer at University of the Basque Country. The use of bee products was earlier than expected while the absence of evidence above parallel 57 on the Eurasian Steppe, indicating the ecological limit of bee colonies.